Saquan Barkley is reportedly doing OK after an injury scare Sunday. There are some big names on our list of injuries below — and they have the ability to swing entire fantasy football match ups next week. 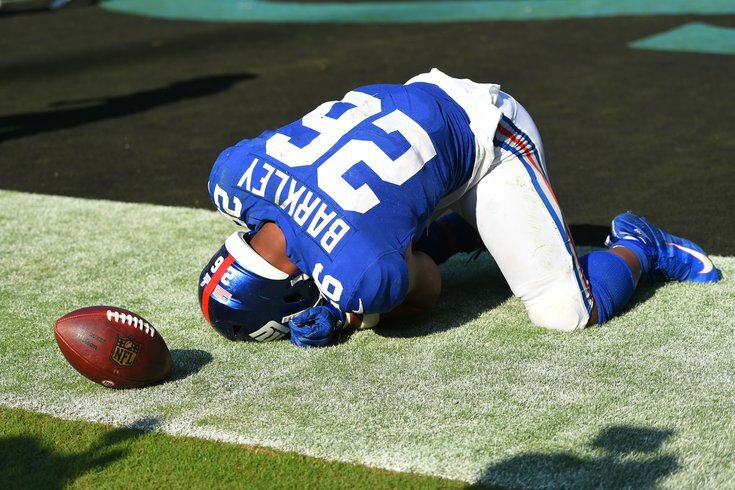 On his last minute touchdown catch and run, Barkley hurdled into the end zone and looked to sustain an injury to his ankle. According to Barkley after the game it was his back that hurt, not his ankle — but he claims neither are serious. Barkley will tentatively be starting Thursday against the Eagles but with a short week you never know. Monitor his status closely. The Niners breakout back is getting an MRI for a high ankle sprain early this week. An X-ray after the game was negative but he will likely miss a little bit of time, reports suggest. If he is unable to suit up Alfred Morris is a must find in every league. Curious Cooks never made much of an impact last week? Or why Kupp stopped accumulating states late in the game? Well, they each left the Rams game vs. the Seahawks with concussions Sunday. LA's head coach Sean McVay said both are doing well in the concussion protocol, but their longterm health is the priority. They will each likely be day-to-day leading up to this weekend. A development late in the afternoon Monday, it turns out the Eagles RB has torn his ACL and will be placed on the IR. 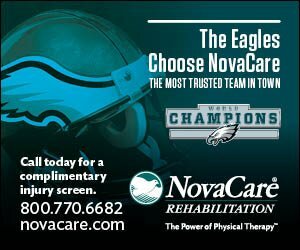 With Corey Clement and Darren Sproles also nursing injuries, Wendell Smallwood has become a must add (unless the Eagles make a move for a running back). Hilton missed last Thursday's game against the Patriots due to chest and hamstring injuries, and according to the Indianapolis Star he wasn't in practice Monday. If he misses another week, stick with Ryan Grant and Chester Rogers when Indy plays the Jets this weekend. Another offensive weapon who is back practicing is Mack, who was out with a hamstring injury for most of this season. His return could dent the production of rookies Jordan Wilkins and Nyhiem Hines. Cobb, once one of Aaron Rodgers' favorite targets, seems likely to return in Week 6 after nursing a hamstring injury, NFL Network reports. Cam Newton could get good news ahead of the Panthers' Week 6 tilt as his trusty tight end could return from a foot injury, the team's website is reporting. When asked about his ankle injury sustained against the Packers Sunday he replied "I'm fine," ESPN.com reports. He also told reporters he could have returned. If true, he should be fine next week. Howard did not practice Monday and was seen wearing a knee brace.